The Steam controller might make my thumb hurt, but there’s no denying its versatility. One of its lesser-known features? Full-blown motion control, ala Nintendo’s Wiis or recent PlayStations. Aiming with the Steam controller’s right haptic pad can be janky—somehow landing in the sweet spot between too precise and not precise enough. The solution? Motion control, strange as it may sound. It’s not super well-publicized, but Valve’s owl-shaped bundle of haptic sensors, whatzits, and headcrab eggs also counts a gyrometer among its precious inside parts. By default, it’s disabled, but you can enable it from the in-game Steam menu. 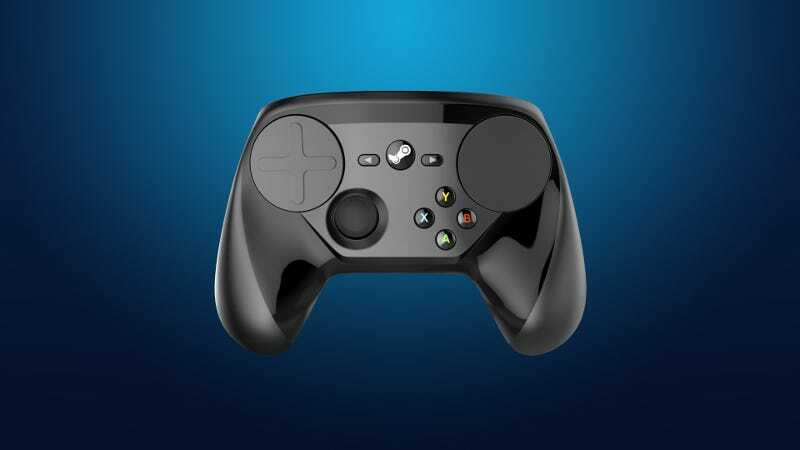 It’s the middle rectangle on the menu, right beneath the grips on the image of a Steam controller. As with other elements of the Steam controller, you can customize it to your heart’s content. So basically, you handle your larger motions with the haptic pad while using motion control to take care of the finer points. It takes some getting used to, but I gave it a go in Metal Gear Solid V and Bedlam, and I’m already warming up to it. Now, a quick (but VERY IMPORTANT) note: if you want to do this, make absolutely sure that you’re using a keyboard-and-mouse control template rather than one that emulates a traditional controller—and make sure this is true of every part of the controller. For whatever reason, mouse controls and joystick controls don’t play nice together when you’re using the Steam pad. (The reason might be symbolism.) Many games default to a joystick-based setup, so be sure to change that before trying to use motion controls to emulate a mouse. So there you go. This might not be everybody’s cup of tea, but if you’re willing to experiment with a slightly out-there controller setup, it’s definitely worth a try. Those of you who have Steam controllers, how are they treating you so far?